R P Sanjiv Goenka Group and Bharti Enterprises on Friday announced an investment commitment of up to Rs 14,000 crore in West Bengal over the next few years at the 3rd Bengal Global Business Summit. "I am committing an investment of Rs 10,000 crore in the FMCG sector in the state over the next few years," R P Sanjiv Goenka Group Chairman Sanjiv Goenka said at the inauguration of the 2-day global business summit. Stating that West Bengal is an investor-friendly state, Goenka said, "There is transparency in deals. 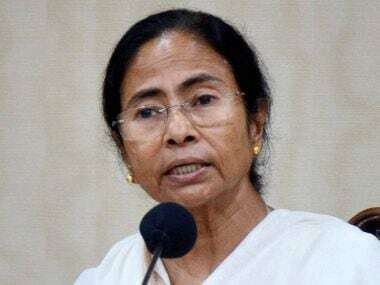 There is no hitch, no delay... West Bengal means business." Investors should come forward and invest in the state as the government "makes things happen without any fuss", he said. Bharti Enterprises Vice-Chairman Rakesh Bharti Mittal said the Bharti Group has pumped in about Rs 30,000 crore in the state so far. We want to partner with the state government further. The Bharti Group will invest about Rs 3,000-4,000 crore in the state in the next 2-3 years," he said. Mittal, however, flagged two key concerns, suggesting that "the government of West Bengal must have a uniform policy... charges here are much higher than other states. Also, the state should allow setting up of Airtel towers". Future Group MD Kishore Biyani and Hero Group CMD Pankaj Munjal spoke about their ongoing projects in the state, but did not commit any investment at the event. "Bengal is not 'janmabhoomi', but 'karmabhoomi' for us. It is here we started our business. The state has enabled us to do business much better than other places in India. Whenever we launch new business, we start from West Bengal," Biyani said. The group has already invested in the state to expand its food and fashion segment. It is planning to create a hub in 2 lakh square feet by 2021, he added. Cricketer Sourav Ganguly also batted for West Bengal and urged investors to invest in the state. "In the last two years, we have seen a lot of support for investment in this part of the region. Please come to West Bengal and invest. You will receive enormous support from the chief minister," he said. The event is being attended by more than 27 countries, which was inaugurated by President Pranab Mukherjee in presence of other foreign dignitaries. However, Union Finance Minister Arun Jaitley skipped the event due to current not-so-good relationship between the state and the Centre.